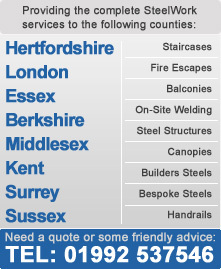 HDM offer a rapid repair service within London and all surrounding counties such as Hertfordshire, Essex, Berkshire, Middlesex, Kent, Surrey and Sussex. Providing a fast and cost effective solution to your problem to ensure you property is safe and secure. As is often the case with structural steels and metal components subject to corrosion or external damage from collision or contact, there are often requirements for an on-site welded repair or replacement of damaged items. 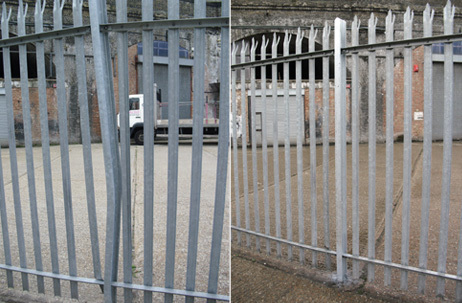 These pictures show a typical on-site repair of a galvanised fence on a commercial property that had incurred some damage. 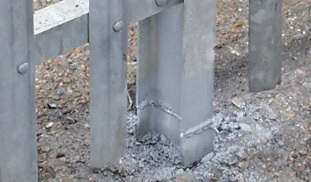 The main post was removed at the base and replaced with a new galvanised section and fully welded on-site.